Most of these posts don’t need dates on them. They just tend to float along in an irrelevant little bubble of their own. This week’s is a bit different though. This week’s post needs a little tethering in time. It’s Sunday the 15th September 2013. This day next week, the place where I live will send its football team to Croke Park in Dublin. And there, in front of 82,000 screaming attendees, they will try to become the Champions for the first time in 62 years. I’m not a major sports fan but it’s fun to live in a county who may next week be champions. It’s even more fun to live in the county-town of that county. It’s strange. The county in question is County Mayo of course and next week they will face up to the challenge of the mighty Dublin and God help us all when that finally happens. 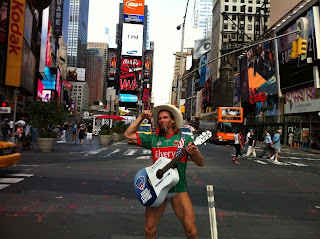 Mayo takes its GAA Football very seriously and I’ve lived here since 1997 so, even though I am not a died-in-the-wool fanatic, it is impossible not be swept along somewhat with the energy and the anticipation and, yes, the fear that a prospective final generates. Mayo, you see, are due a Championship title. In fairness, that may be understating the case. Mayo are nearly always contenders, there-or-thereabouts, they have come second-best in no less than six finals since they last won, way back in 1951. The most recent one of these was just last year. We had all of this last year, the aforementioned energy, anticipation, fear and we had the disappointment and awful dullness of defeat too. Now it’s a new year and, yes, here we go again. The town, my town, Castlebar, goes a bit mad. The team colours are now everywhere. Red and green flags protrude from practically every house and every car. Every shop has personalised posters wishing their team the best and proclaiming tortuous puns about the anticipated winning of the ‘Sam Maguire’ cup. (The library has Sam ‘Booked’). Each locality wishes their own players well. All the players are from the county, gleaned from the little parish teams who battle each other every week. Farmers cut messages into their land. I saw a red and green sheep in a field last Tuesday. Everybody is talking football and, even more so, everybody is on a quest for tickets for the match. Everybody asks everybody for tickets. It has eclipsed the weather as the primary form of greeting. “Any tickets?” Nobody has any tickets and nobody gets any tickets in this way but still everybody asks. The vibe among the good townspeople this year seems to me to be even more nervous and fearful than usual. So many big days out, so many defeats, have left their mark. There comes almost an expectation that the hex cannot yet be broken. But two different forces are at work this year. Firstly, the team is excellent. A superb team with a superb management. They have cut through the opposition like butter and, even in the semi-final when they were well-tested by Tyrone, they rallied and battled and won out. This is a team that could actually win this damn thing and that, conversely, makes the nerves of the passionate supporters even greater. The second thing which is making us all nervous is the opposition. Dublin. In their own semi-final, Dublin presented the country with an awesome vision of power, skill, and determination. Like Maverick in that old television show, Dublin did not come here to lose. Such was the impact of their semi-final win, Dublin now enter next week’s fray as the favourites. This is fine by Mayo. Nobody wants the pressure of being viewed as the top-dog. So long as we win. But that’s the beauty of sport, isn’t it? Mayo won’t win because it’s been a long time since they won and now they deserve a win. Mayo won’t win because of any weight of history or perceived entitlement. Mayo will win if they can beat Dublin on the day… and the day is next Sunday. Tune in, you people around the world. It will be quite a spectacle. Two highly skilled teams at peak fitness, a wonderful stadium, packed to the rafters with the small percentage of people who actually managed to get those tickets. It promises to be an epic battle. And, when you're watching, bear in mind the most astonishing thing about the whole day. This is an amateur sport. These sportsmen will not be paid and will return to their everyday jobs, win or lose, when the adventure is over. They have risen out of their small parishes, the back fields and the community centres, to become true and enduring local heroes. Actual heroes who walk among us in our town. Our little town which, this week, will be giddy and a bit shaky from the anticipation. I’m not from here originally and I've lived in many places so I view it, as I view most everything these days, with a certain level of detachment. But only a certain level. I live here now. This is my place and, more than anything, on Monday week, I long to see a town which literally does not know what to do with itself. A town which has not known a win in over sixty years, where generations of rabid fans will never have experienced the feeling that comes with the big win. What will happen on that day after we win? Nobody really remembers. Everybody hopes they will find out. It’s not my sport, it’s not my place of birth, but there’s a wave swelling up here once again and I can’t help but be swept along with it. I’m not a sports fan. So far this year the only sporting even I’ve watched has been the men’s final at Wimbledon. The last men’s final I can remember watching featured that phenomenal tie-break between Bjorn Bork and John McEnroe in 1980. I think that about says it all. At school I was a sprinter—fastest in the school—so I wound up on the rugby team where I played right wing; basically once the ball reached me I had only one job and that was to run like the clappers. I didn’t handle the ball that much but I actually did quite enjoy the camaraderie. I never played football and apart from collecting bubble gum cards never had any interest in the sport. Not that I followed rugby either and I’ve never been a spectator at any live sporting event where I wasn’t also participating. Cricket I simply cannot see the point of although my sister used to sit and watch it with my dad which I thought was odd. Once I left school the only sport I took any interest in was badminton. I’d play with the guys from work once a week and I enjoyed it enough that I encouraged my last wife to take up the sport so I could get to play a bit. I really find it hard to believe the kind of life I used to live with her. So different. Now I live like an old retired man; I should take up lawn bowls. My relationship to Glasgow and Scotland is a strange one. I’m patriotic enough but you wouldn’t call me passionately nationalistic. I keep forgetting that Andy Murray even is a Scot. I’m delighted that he won as a person irrespective of what country he happened to represent in exactly the same way during the 1976 Montreal Olympic Games I rooted for Nadia Comaneci and was pleased when she got the perfect 10. Who cared what country she was from? I am actually quite a competitive individual. If I play a game I play to win. My last wife used to cheat all the time at board games; she regarded it as a part of the fun. Not for me. If a game has rules you stick to them. Carrie and I have never even played a hand of cards together. What I found sweet was when she came over from America one of the things she brought with her was a pack of playing cards. I wonder if she thought we’d be bored and need something to occupy ourselves.